Welcoming a new life into the world is an exhilarating time, from buying cute clothes to decorating their new room. Though it's understandable that purchasing a mattress may not be the most exciting task that you need to do before your new child is born, however, it is hugely important. A top quality baby cot mattress not only provides exceptional comfort and support but also aids to promote healthy development and growth. Most of all it keeps them safe throughout the night so you can rest worry-free. There is a lot of misleading information combined with a vast amount of different brands and products which can leave you completely overwhelmed when the time comes to purchase. Let's be honest; you don't want to spend days and days researching which baby cot mattress to buy. So we have developed this guide to make it easy for you, which will remove additional stress from your life and allow you to get on with other things. If you've ever needed to buy a mattress of any type, then you've most definitely heard of the Silentnight brand. They are one of the leaders in the market due to their ongoing product innovation and technology development. This is no different from their British manufactured baby cot mattress. This foam free cot mattress is designed with the primary aim of providing your baby with a comfortable and safe sleep while they are in the critical growth stage. The mattress is foam-free and built with an innovative hi-tech 3d mesh structure. This allows air to circulate freely through the surfaces so your baby can easily breathe and brings a safer nights sleep. This is especially important if your baby sleeps on their front. The mattress is naturally hypoallergenic which helps to prevent allergies, dust mites and skin irritations. It also includes a breathable cover which has fillings to reduce further overheating. The cover is also removable which makes it easy and convenient to wash.
UK made and tested to meet UK standards and regulations. Fits all regular sized cots such as Mothercare & Mamas & Papas. This Silentnight baby mattress is the leader in the market due to it's firm breathable, hypoallergenic mattress. It may be slightly more expensive than alternatives. However, it ultimately shows its worth, and your baby will love to sleep on it. Katy manufactures this high-quality British made mattress without the use of harmful chemicals such as Antimony, Phosphorus Or Arsenic Based Fire Retardants. It is built using a high-grade Bennelli spring mattress unit which covered in a highly resilient foam stockinette which is then fitted with a waterproof adjustable membrane. It is made using high-grade density foam. The mattress is also fitted with a removable quilted cover which makes it easy to wash. The mattress is extremely comfortable and breathable while also providing comfort, so it's ideal for keeping your baby's spine in a strong position when sleeping. This mattress is our budget pick due to the exceptional level of comfort and technology that's built into the mattress to keep your baby cool throughout the night. Mother Nurture has designed and manufactured an affordable, yet quality baby cot mattress, which so far has had nothing but positive feedback from users around the country. This British manufactured hypoallergenic mattress is bound by a quilted cover to ensure that it is water resistant and can be removed and washed at the optimal 60 degrees to kill all bacteria and germs. The edges of the mattress are bound to provide extra durability and strength which ensures the mattress is long lasting. The main part of the mattress contains a Bonnell spring unit which is built into high-grade nursery foam covered in a stockinette. The inside of the mattress has a water-resistant material lining which stops liquids from seeping into the inside of the mattress. ​Firm, yet breathable mattress gives your baby a great sleep. Mattress is hypo-allergenic which offers protection against allergies such as eczema and asthma. While this mattress is much more affordable in comparison to our top rate mattress, it can still bring a huge amount of benefit to your baby's sleep. From the breathable surface to its firm interior to provide support to the spine while releasing pressure. Mamas & Papas is one of the best-known brands within the baby & toddler care market due to their extensive product range and services. They have now developed a pocket sprung cot mattress. Pocket springs work individually to contour and shape to your baby's body and react to changes in pressure, weight and shape. This ensures that it provides the ultimate support for your ever-growing baby. Also included is a removable, washable cover which allows you to quickly and efficiently wash germs and bacteria to keep your baby safe. The mattress is anti-allergy and features a waterproof panel while the material is also breathable to provide strong airflow. Unlike competitor products, this mattress can be flipped over to retain its shape meaning it will last significantly longer. Strong pocket sprung mattress to provide the perfect level of contouring and support. Waterproof surface to stop liquids from seeping into the core. Breathable surface ensures that a good level of airflow is maintained. Meets all necessary UK standards and regulations. Fits all regular cots such as Mothercare & Mamas & Papas. Mamas & Papas have continued to push the bar higher with this mattress, and you won't be disappointed if you purchase this product for your baby. It will last a very long time and should last for the whole time your new baby needs it while providing them with the best start to life. Obaby has created an extremely affordable yet effective baby cot mattress. The mattress is available in two variations: Spring or Foam. The mattress features a hypo-allergenic, breathable cover so your baby can breathe with ease. The cover is also water resistant and removable so it is easy to clean and can be washed at 60 degrees to remove germs and bacteria. The inner core is made from a highly resilient dent proof foam. The foam is also vented to allow for air circulation. All these features combine to provide a comfortable and safe sleep for your baby. Hypoallergenic, breathable, water resistant and removable cover. Provides both a comfortable and safe sleep for your baby. Obaby has made a product that resonates with customers which have been reflected in a large number of positive reviews throughout the industry. Of the two options, we would recommend the spring version because this has been proven to give a more comfortable sleep than just foam as the springs independently contour and shape to your baby's position as they change throughout their rest. What Is A Baby Cot Mattress? When you purchase your cot, there may be a mattress included but don't feel forced to use it just because its included in the price. The most important thing is that when you buy the mattress that you're happy with it because your baby is going to spend most of the next few years lying on it. Why Is A Good Quality Baby Mattress So Important? On a serious note, despite a cot mattress providing a comfy sleep for your baby, more importantly, it adds extra safety and protection while they sleep through the night. In America, the National Institute of Child Health & Human Development concluded in a report using a firmer baby mattress instead of a softer mattress is one of the major factors in helping to reduce SIDS or Sudden Infant Death Syndrome. ​This makes it even more important to use a mattress that has been specifically made for babies because adult mattresses are likely not firm enough for a baby to sleep on long term. Types Of Baby Cot Mattress? There are many different types of mattress that you can purchase; however, the most important thing to remember is that no matter which one you decide to buy, it needs to be firm. To explain why; imagine if your baby turns over while sleeping if the mattress is soft your baby will find it challenging to move themselves because their face is more likely to sink into the surface of the mattress, so they need a more solid surface. One of the most popular types of baby cot mattress is manufactured from polyurethane which is made into a foam material. It is generally a popular choice by parents due to being cheaper than models made with alternative materials. This is no longer the soft, brittle foam that was available decades ago, huge advancements have been made to now manufacture top quality foam. The most commonly have a PVC cover which makes it easy to wipe clean. The covers are removable and breathable and on occasion have additional ventilation holes to help keep your baby cool. In general the denser the mattress, the better. Heavier mattresses are often denser. As previously stated, the more firm a cot mattress is, the better for the baby. The best manufacturers list the weight in the product information. An alternative way to test a mattresses firmness is by squeezing it with your hands. A top quality thick mattress will not allow you to push far into the surface. Although generally speaking, a heavier mattress is better than a lightweight mattress; you have to take into account that you'll have to lift the mattress to change the sheets continually. A mattress that is too bulky and heavy can cause issues, so its best to make a compromise between ease of use and weight. PVC cover may be an issue for some parents. Pocket springs have been the natural development away from coil spring mattresses to provide an even more comfortable sleep. They are made up of individual springs that are sewn into small fabric pockets. Each spring works independently to respond to the baby's movement and then adjusts its shape to contour and support your baby's body. These mattresses are routinely more expensive than foam mattresses due to the more complex manufacturing process that it needs to produce. While you do need to take note of the number coils that the mattress has before purchasing, you must understand that more coils don't necessarily mean the mattress is better than another will less coils. The number of coils does slightly reflect the level of density of a mattress, though many other factors contribute to the quality of a mattress. The recommended amount of coils should be around 130-150.. However, you can use your judgement here to make a decision based on your individual baby's needs. Coil spring mattresses are the traditional type and structure that you're already used to. The mattress is made up of a coiled spring interior assisted by layers of foam and felt padding to provide comfort and support to the baby. One side is normally covered in cotton or similar material, with the other side having a more durable PVC type material cover that is easy to wipe clean when dirty. These mattresses tend to retain their shape well for many years, and built into its structure is a spring lattice. This ensures that a good level of airflow is maintained, so the baby's body temperature stays regulated throughout their sleep. Easy wipe clean surface to remove dirt and bacteria. The cotton side can be harder to keep clean, but does provide comfort. Natural fibre baby cot mattresses are made slightly differently to the traditional baby mattresses in the market. The core is made up of different materials such as coconut fibre combined with additional natural layers like lambswool, cashmere, latex or silk. The coconut fibres are then reinforced with latex to provide protection, strength and support. The natural filling is so powerful because it helps more air to circulate through the mattress so not only does your baby get a comfortable sleep but their temperature is regulated to a higher quality. Like most baby mattresses, they are manufactured to have an easy wipe cover to make removing bacteria and dirt easy. This mattress is a suitable choice if you are worried about your baby sleeping on synthetic material or you are trying to avoid introducing additional synthetics and unnecessary chemicals into your home. One of the most firmest mattresses, great for support. Noticeably more expensive than alternatives. If your family currently suffers from allergens or asthma, then there's a chance that your baby will often suffer from the same issues. If this is a concern, then you may want to consider purchasing a hypoallergenic mattress for your baby. Hypoallergenic baby mattresses are usually manufactured to have a quilted top layer which also it to be quickly and easily detached and washed. They can be washed at 60 degrees which is the optimal temperature to kill dust mites and bacteria that may cause or worsen allergies. For the majority of babies, this is a luxury purchase. In recent times baby cot mattresses are often no longer separated by material, and now you will find that you can purchase mattresses made from a range of materials. For example, it may have a pocket spring foundation with a layer of foam. This is even more effective because you get the benefits of two different types of structures and materials. So when you are purchasing a mattress be sure to check whether there is more than one key material. Does My Baby Mattress Need To Be Brand New? Preparing for a newborn can end up being reasonably costly once you account for all the items you need to purchase, and it is entirely reasonable for you to look for ways to save money that can be spent on other things. We recommend that you always buy a brand new mattress for your baby, even if you have an old one that was used by your previous baby. Your new baby needs a fresh, clean start on a brand new supportive mattress. The big issues with second-hand baby mattresses are that they can lose shape, so they are uncomfortable to sleep on. They can also be infested with hidden bacteria, germs or dust mites. Unfortunately, there is also strong evidence that implies that cot death cases can be linked to the use of secondhand mattresses. Think about it this way, a previous baby has already slept on in for many of years, and part of that is spent peeing and pooing on the mattress. Regardless of how well it was maintained it's not a great idea to hand this down to another baby. There are several important steps you should take to ensure that your baby is as safe as possible before buying a new cot mattress for your baby. All baby mattresses should carry BSI number BS 1877-10:2011+A1:2012. The mattress should fit in the cot snugly with no gaps around the edges. This may seem like common sense, but ensure that the mattress you purchase fits your cot. The majority of cots and mattresses come in standard sizes, but you should be sure to double check to ensure that it will fit. A mattress that fits perfectly will be snug against all four sides of the cot with no breathing space or gaps present. If there's a gap, this presents a danger as your baby's limb could get caught. Several manufacturers supply their mattresses with 10-20 year warranties which often play a significant factor in customers buying the product over an alternative. You shouldn't let this alter your choice because the length of warranty doesn't always ensure quality. Plus realistically you'll only need your cot and mattress for a max of five years per child. All baby cot mattresses are manufactured and covered with a durable outer layer of waterproof fabric. However, not all these covers are suitable for machine or hand washing. If your cover is not removable, then you must be sure to frequently wipe it clean with either a damp sponge or antibacterial wipe. We recommend you either purchase a mattress with a removable cover or buy one separately to go with your mattress. This cover should be able to be washed at 60 degrees which is the optimal temperature to kill dust mites and germs. You may be surprised to find out through this article that baby cot mattresses are reasonably affordable especially in comparison to how much use you get out of it and how many years it will last. Usually, the thinner foam mattresses will be cheaper and affordable while the thicker, denser higher quality mattresses will cost a little more. You do get what you pay for. It's a difficult decision to narrow it down to a single mattress. 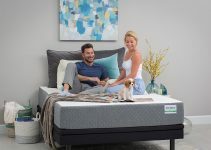 Although we recommend a spring, natural or hybrid system over a mattress that solely uses foam, people have been using foam mattresses for many years because not only do they provide quality orthopaedic support, but they also are extremely affordable.